Learn the general concept behind starting a home based business such as affiliate marketing, network marketing, becoming organized, setting goals and the correct mindset. A general introduction to the SFI affiliate center and the Tripleclicks store. Learn how to navigate your way around the affiliate center and discover the many benefits of Tripleclicks. Learn how to get started with the SFI affiliate center by setting up your profile, adding your picture and creating your new affiliate greeting. Start learning the basics of SFI. This lesson covers the Versapoints (VP) system and how to earn them. Learn the difference between Action VP and Sales VP and the daily task of building VP in the affiliate center. 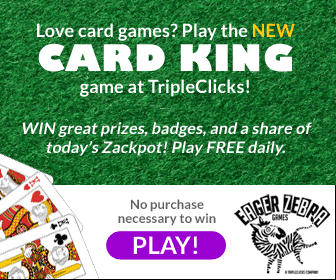 Learn everything you need to know about the Tripleclicks website such as purchasing products, earning free stuff, how to win at the Pricebenders auction and how to sell your own items. A complete lesson on how to promote your SFI and Tripleclicks gateway sites using methods such as e-cards, x-cards, banners, splash pages and flyers. Coops are a great way to refer new affiliates to SFI as you get professional marketers to do the job for you. Discover four popular coops that work very well. Also learn how to set up your own. Learn how you can sponsor your affiliates and teach them how to build their business. Includes lessons on the various tools you need for sponsoring and duplication.